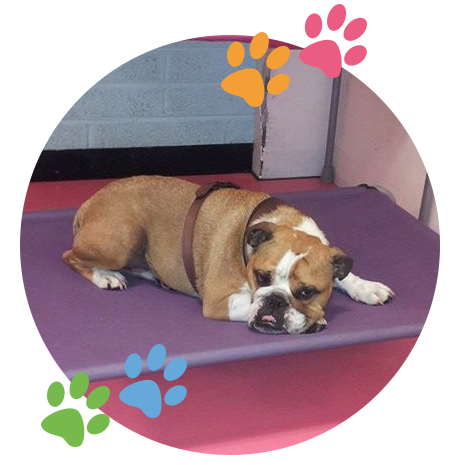 For dogs that attend daycare we have an exclusive holiday option for them when its time for their parents to go away on business or pleasure. Dogs play away in daycare and come home with us at the end of the day. Dogs will be separated at night for their own safety. Many people including ourselves at Inn the Doghouse struggle with the idea of leaving our four legged friends in traditional boarding kennels while we go away on business or pleasure. Although there are many good quality boarding facilities here in Waterford and the surrounding areas, many dogs just don’t cope well in this environment. It is not uncommon for dogs to go off their food, to bark themselves hoarse, to act ‘different or strange’ when they go home or even start toileting indoors after having no accidents for years previously. This can all be related to the stress caused by the sudden change to the dogs’ routine and environment. Dogs are removed from their own bed, home and family and placed in a kennel for up to 23 hours a day with limited human and maybe no canine company. 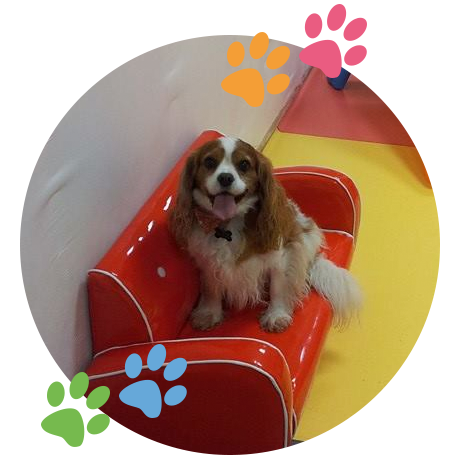 During the day, your dog will play all day with the daycare dogs in our heated indoor playroom. They will enjoy the routine of a normal daycare day, as they will have already experienced this previously. What will my dog do after daycare? In the evening, they will come home with us and join our own dogs for their evening walk. They will have access to our large, very secure back garden that is overlooked by our own CCTV for your dogs’ safety. This footage can also be accessed live, at all times on our phones. Will my dog have it's own space? After a fun filled day of play in doggie daycare (weekdays) or a long beach or country walk (weekends), every dog is sure to fall into a deep, rejuvenating sleep ready to do it all again tomorrow. Should I provide food for my dog? All dogs will be separated while being fed to ensure that they can eat comfortably and in peace. We do not supply food for our sleepover guests as it is not recommended to change a dogs diet suddenly. A change in diet can cause tummy upset and this can lead to unnecessary suffering and stress for your dog. Please provide a packed lunch with instructions for each day that your doggie is with us to keep life as close to routine as possible for you pooch. Due to the level of intimate care offered to our sleepover guests, we can only accept a very limited number of dogs for a sleepover (3-4 per night). Early booking is essential to avoid disappointment. Do you have a boarding alternative? A great alternative to sleepover that allows your dog to stay in your home while you are away.